I’m gearing up for the Twin Cities Book Festival on October 17, 10-5 at the Minnesota State Fairgrounds. Free admission. I hardly ever read crime novels. When I have, the experience has usually been a disappointment. The books were “low-brow,” with weak characters, predictable plots and lame dialog. However, this genre is so popular I’ve always figured that I must somehow be missing the good stuff. It was a mystery to me. I decided to conduct my own investigation into the virtues of crime fiction and go to the source, Once Upon a Crime, the bookstore in Minneapolis. 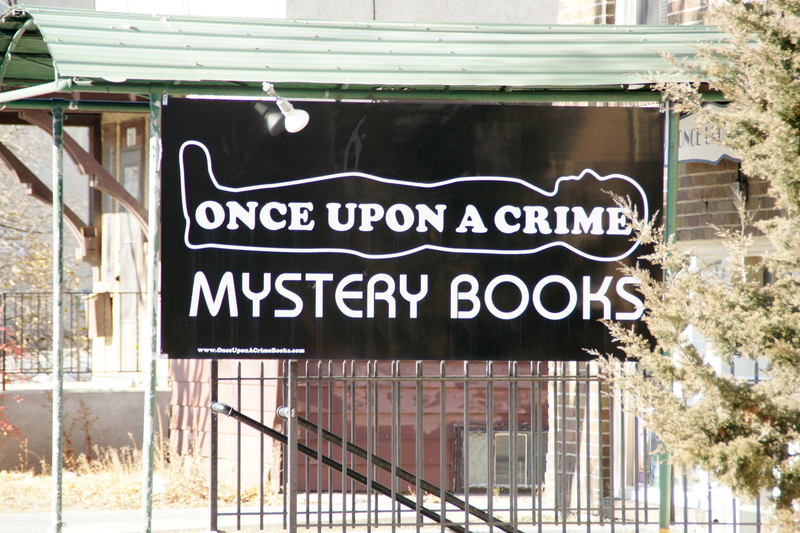 Tucked into the lower level of a building on 26th Street, just east of Lyndale Avenue, Once Upon a Crime is truly a hidden gem, though not a secret to crime fiction lovers. Pat Frovarp owns the shop with her husband, Gary, and a dog appropriately named Shamus, She doesn’t just know about the writers, she knows a huge number of the writers personally. This year the store won The Raven Award, the top honor for non-authors given at the annual Edgar Awards, sponsored by the Mystery Writers of America. She gave me a quick tutorial on the genre and revealed a world far more intriguing than those crime or thriller books one sees on the racks in grocery stores and airports. The store handles fiction only, no true crime. Under this umbrella one can find countless sub-genres, something for every taste—“hard-boiled” and violent to “soft-boiled” Agatha Christie-type works which Pat calls “cozies.” Pick just about any part of the world or any period in history, there’s crime fiction that takes place there. Best of all, for someone like me, there are works that weave in history and that I (yes, snobbishly) would call “literary.” I had trouble narrowing it down, but I left the store with The Canterbury Papers, a novel by Minneapolis writer Judith Koll Healey that takes place in the Middle Ages and Big Wheat, a mystery story set in the Dakotas in 1919, by St. Paul author Richard A. Thompson. I can’t wait to settle in for a long read on a dark and stormy (and cold) night. I also anticipate going back to visit Pat for a discussion of books, crime and dogs. (check out Flavorwire‘s pairing of top cities and books set in them) and Minneapolis has been voted the best biking city in America for the last two years. So it makes sense to put the two together for a two-wheel tour of some of Minneapolis’ outstanding independent bookstores as well as its famous Chain of Lakes. FYI, for anyone not familiar with this area of Minneapolis, we’re talking flat, paved bikes-only paths, great for kids and anyone who may not be Tour-de-France-fit. Start out in the city’s Uptown neighborhood, home of some of Minneapolis’ most fun bars and restaurants, as proven by the continual discussion of noise regulations for the area at city council meetings. It’s also the home of Magers and Quinn on Hennepin Avenue, the city’s largest independent bookseller which bills itself as “A bounty of the world’s best books assembled by biblioholic booksellers.” This is a place that will make even the most dedicated e-book reader stow the tech and stock up on print. It has that cozy independent bookstore feel and stacks you could wander for hours. They have everything, new, used (deals! ), beautiful antique volumes and first editions…so bring your backpack. And, if they don’t have a book you’re looking for, they’ll track it down and order it for you. It’s also a good idea to get on their mailing list for author appearances and reading ideas. If you haven’t come equipped, trot around the corner to Calhoun Bike Rentals on Lake Street and rent a bike for the rest of your journey. They also offer bike tours of some of the most interesting areas of Minneapolis. The Tin Fish restaurant in the Lake Calhoun Boat Pavillion makes a great place to stoke up for lunch. Then start pedaling. The Chain of Lakes is part of the Grand Rounds National Scenic Byway. Head south along the east side of Lake Calhoun and on down to Lake Harriet. A short side trip from Lake Harriett is Wild Rumpus Books a fantastic children’s bookstore that features, in addition to books, live animals and a tiny front door for children to enter through. 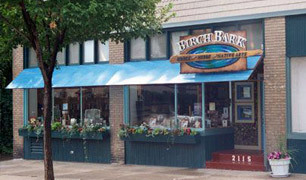 Head back to Lake Harriet and north again to Lake Calhoun, Lake of the Isles and on to Birchbark Books and Native Arts in the lovely, leafy Kenwood neighborhood. It’s one of my favorite bookstores (see my previous post) with a special emphasis on Native American literature. 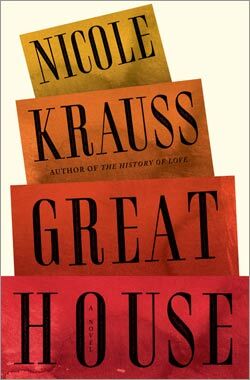 The staff and owner, novelist Louise Erdrich, carefully choose the books here and handwritten notes offer insight into books for browsers. Books aside, any store with a confessional and dogs on the premises is good for the soul. You’ll need a little nosh to sustain you as you retrace your path back to Uptown. Stop next door at the Kenwood Café. Many bibliophiles make a point of hitting independent bookstores such as these whenever they travel. To that end, IndieBound has an Indie Store finder that helps readers find indie booksellers just about anywhere. For more on bookstore tourism, take a look at GalleyCat and Bookstore Tourism. A Virtual Concierge—I Need That! I wish I could find a Jen Knoch everywhere I travel. It’s easy to find travel agents, hotel concierges, and corporate event planners galore who can offer some piece of travel planning, but it’s seldom information that’s very customized or personal. Consequently, I spend a lot of time talking to friends to get their tips and pouring over sites like TripAdvisor. I’ve had great experiences with travel planners for big trips, groups like Costa Rica Expeditions or the Blue Men of Morocco, for example, but what if you’re an individual, family or a book group traveling to someplace like the Twin Cities or Chicago or Seattle? Knoch’s Radar Virtual Concierge Services, which caters to Twin Cities experiences, offers customized suggestions, based on the client’s needs and it’s affordable for “regular” people. She says, “My sweet spot is the locally owned businesses that do tend to be more unique, under-the-radar and neighborhood type places that typically aren’t known to corporate event managers, hotel concierges, and travel agents. They tend to focus more on the obvious, larger venues, well-known, chains, etc. An individual, a couple, a group, a family looking for an adventure in the Twin Cities whether they live here or are visiting, are my absolute perfect clients! There is so much to do here and much of that is ‘unknown’ and I get my kicks out of blowing people away with the greatness of these cities from dining to music to retail to all-things culture.” Radar’s service is offered on a one time, weekend, annual or event-based basis, with the fees to match, starting at $15. I have yet to find a comparable service in other markets. Do they exist? One of Knoch’s favorite “bookish” spots in the Twin Cities: Wild Rumpus. It’s one of my favorites, too, and I’ve missed going there now that my boys are grown. So, trolling their Web site, I was delighted to discover that they have an adults-only book club and, best of all, a remedial book club for adults who missed or want to revisit some of the classics of children’s literature. The store’s animal hosts alone make it worth a trip. Empathy, compassion, what it’s like to be another person… Makes you wish more people would pick up a book.